Moncton: The union representing more than 3,300 education support staff across New Brunswick is giving the thumbs up to the Minister of Education’s plans for a new Moncton High School. CUPE Local 2745 President Sandy Harding says, “We think Minister Carr’s plan is well thought out and the best option available. CUPE members who work at Moncton High will be active and engaged in the process of bringing this new school to reality. “They will hold high standards for health & safety and will make sure they have a healthy and safe workplace upon their return to Moncton High in the fall,” she says. Says Harding, “We are willing to give Minister Carr’s plan a chance and will actively participate in the Transition Committee,” she has also announced. “We are particularly happy to hear that this will be a publicly built school and that the Minister has not been lured into a P3, or so-called ‘public private partnership’ which would be a bad deal for New Brunswick taxpayers,” says Harding. 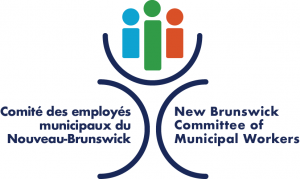 MIRAMICHI – Further cuts to public services either on the provincial or municipal level is not the remedy to the current financial situation in New Brunswick. The three unions representing the City of Miramichi employees – CUPE Local 1387 Civic Employees; CUPE Local 3863 Inside Workers; and CUPE Local 4558 Firefighters – are very concerned with the possibility of further reductions in municipal services. “Last night, members of the three unions met to discuss the city’s current financial situation”, explained Patrick Roy, CUPE Representative. “We all know that the region is going through a difficult time. We may not be able to replace the jobs and the tax revenues lost from the mill anytime soon, but the provincial government can alleviate the situation by going back to a progressive tax system”, said Roy. The government’s decision to reduce the income tax for the wealthy and large corporations has dramatically reduced its revenue base and its ability to properly finance municipalities who provide daily services to the citizens of this province. “We will continue to work closely with the city to provide good public services in our community. We believe we can help the city save more money by bringing back in house all municipal services,” concluded Roy. FREDERICTON: The proposed pooled retirement pension plan announced yesterday by Federal Finance Minister Jim Flaherty is a step backward from real pension reform. “Instead of improving the Canada Pension Plan (CPP), the Federal proposal is a sign Canada’s banks and financial institutions have hijacked this important issue”, said Daniel Légère, president of the Canadian Union of Public Employees in New Brunswick (CUPE NB). “This proposal doesn’t address the issue of workers not being able to save for retirement.” A recent Environics poll shows 74 per cent of Canadians don’t make RRSP contributions, not because they don’t want to save for retirement but because they simply can’t afford it. “Increasing CPP benefit is just the right thing to do to guarantee every worker a decent, secure income in retirement”, concluded Légère. Fredericton: The union representing school bus drivers, CUPE Local 1253, is concerned about another incident that happened during the transport of students for an extra-curricular activity. Fredericton: The Union representing highway workers is asking the government to reconsider the use of a public private partnership for the twinning of the entire length of Route 1 from the United States border at St. Stephen. “Studies have proven over and over again that the use of P3’s to build and maintain highways is not cheaper as politicians would lead us to believe, said Andrew Hardy, President of CUPE 1190. The highway between Moncton and Fredericton – a P3 – is a good example of this. Each year, the province is paying MRDC, a private company, $10 million just to maintain the highway. “The Minister of Finance stated that the private sector could do it quicker than the government can. We would like to know if the Minister asked his colleague, the Minister of Transportation, for input on how to build the new highway? We recently met with the Minister of Transportation, Denis Landry, who told us that they would not use the P3 model to build that road,” said Hardy. The President of CUPE New Brunswick, Daniel Léger, believes the government is losing an opportunity to come out of the economic crisis well positioned by letting multinational corporations own and operate our transportation routes while the tax payer foots the bill. Saint John: The Union representing the employees of New Direction in Saint John is calling upon the government to save their community residences from closure. “Last week, the Board of Directors of New Direction informed CUPE Local 4569, which represents Residential Care Workers working in its three group homes, that they are shutting down all of its facilities by the end of December”, said CUPE Representative Vallie Stearns. “The Board of Directors told us they can’t afford to operate the group homes any longer due to ‘projected financials and inadequate funding’. Apparently, they lost approximately $100,000 in funding revenues in the last fiscal year, and $70,000 to date in this fiscal year”, explained Stearns. The Union will be presenting a letter to Social Development Minister Sue Stultz asking for the immediate reinstatement of funding. “For years now, we have been on a roller coaster,” said Cheryl Nice, President of CUPE Local 4569. “Too many beds have been empty for too long, even though there are plenty of people who need our services. The Department of Social Development has forced New Direction to close homes and re-open them in the past by withdrawing placements. Who will take care of the mentally ill? Non-profit agencies cannot provide reliable care unless the Department of Social Development increases per diem rates and provides stable placements,” explained CUPE Local 4569 President, Cheryl Nice. The closure of New Direction will result in the loss of 13 full-time and 13 part-time jobs, and the loss of three houses providing 18 beds for adults struggling with mental illness and other disabilities. New Direction Inc., a non-profit agency, has been providing community residential services since the late 1970s in the Saint John area and at one point operated five houses with a total of 30 beds. According to the President of the New Brunswick Council of Group Home Unions, Romana Sehic, “The Government is turning its back on the most vulnerable in our society. What will happen to our clients if agencies such as New Direction are forced to close? Are we going back to institutionalization? Group home services are vital to those suffering from mental illness; vital to them and vital to society as a whole,” concluded Sehic.